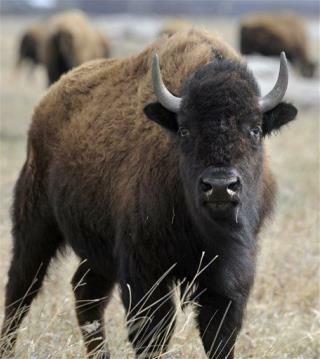 (Newser) – There has been a steep rise in bison attacks on humans in Yellowstone National Park this year, which may be connected to a rise in visitors trying to take selfies or other close-up photos of the animals. The latest injured visitor—the fifth this year—is a 43-year-old woman from Mississippi who was charged by a bison Tuesday near the Fairy Falls trailhead just outside Old Faithful. She and her daughter turned their backs on the creature from roughly 6 yards away to get a photo with the bison in the background, the Bozeman Daily Chronicle reports. The National Park Service says the pair started to run when they heard the animal's footsteps, but it caught the woman and threw her in the air. The bison moved on after the woman's father came to her aid. Her family drove her to a clinic, where she was treated for minor injuries. Stupid people who also probably think their pets are human. I have a fully trained, domesticated horse, and I always, always, always, am aware of where he is and what he is doing. People really are idiots sometimes.